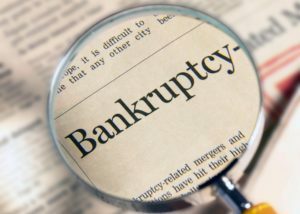 The Harris Firm currently charges $850 for most simple Chapter 7 bankruptcy filings in and around the Etowah County area. Let our Gadsden bankruptcy lawyers get you the debt relief you need via the Bankruptcy Court. We’ll gladly answer any questions you have and guide you through the entire process. Contact us today and one of our Gadsden bankruptcy lawyers & attorneys will consult with you and answer any questions you have about filing for bankruptcy relief. Our bankruptcy attorneys are seasoned in this arena and will help you make an informed decision concerning your financial situation. We’ll help you determine if bankruptcy makes sense for you and if it is so, our Gadsden bankruptcy attorney will work to make the process as simple as possible, explaining everything along the way. First of all, you’ll need to set an appointment. Once an appointment is scheduled, we’ll send you a questionnaire to fill out and bring with you to the appointment in which we’ll review your financial situation and discuss your options further. Our Gadsden bankruptcy lawyers work with clients, helping them make informed decisions concerning filing for bankruptcy protection and keeping the process as simple as possible and as transparent as possible for them. We are your counsel and are here to make sure you understand each aspect of a potential bankruptcy filing prior to moving forward. IWhen filing a Chapter 7 bankruptcy, you’ll need to provide us with specific documentation and sign some forms prior to filing. Documentation required includes your last 6months of pay stubs, last 2 years tax returns, you will need to fill out a bankruptcy questionnaire, and a copy of your driver’s license. Some of the common forms you will need to sign are the contract to retain our services, legal disclosures, and a few standard forms that get filed with the Bankruptcy Court. We can go over all of this and inform you of the entire process at our consultation. Our bankruptcy attorneys in the Gadsden area serve clients in Etowah County and the surrounding areas of Oxford, Heflin, Oneonta, Ashville, Talladega, Sylacauga, Pell City, and Lincoln. Don’t hesitate in contacting our Gadsden bankruptcy lawyers today for a free consultation in our office or over the phone. 5) Debt collectors are harassing you by calling, texting and emailing multiple times a week or day. 6) You have large outstanding medical bills that your insurance did not pay and you have no way of ever paying for them. Our Gadsden bankruptcy lawyers are here to help you find debt relief. A Chapter 7 Bankruptcy can allow you to wipe out certain debts and get a fresh start while a Chapter 13 bankruptcy can also provide protection from creditors. However, a simple Chapter 7 could give you issues if not filed properly or if you do not qualify. Here’s where having a local bankruptcy attorney to file your case who is familiar with the process and knows all of the local rules of the particular bankruptcy court you are filing in is essential. If you live in Gadsden or the surrounding areas of Etowah County, then you will likely be filing your bankruptcy in the United States District Court, Northern District of Alabama, Eastern Division. In a Chapter 7 bankruptcy, you will have a hearing called a Meeting of the Creditors. If you live in the City of Gadsden, then your bankruptcy hearing will be in downtown Gadsden.creditors rarely actually show up for this meeting and the Trustee assigned to your case will just ask you a few questions about your financial situation. Our Gadsden lawyer will accompany you to this meeting. If there are no complications or objections then you should receive a discharge and never have to go before a Judge in most Chapter 7 bankruptcy cases. We are a member of the local Calhoun County Chamber of Commerce and the North and Central Alabama Better Business Bureau, so feel free to check us out there for reviews from former clients. Our bankruptcy lawyers routinely practice in the Calhoun County and Etowah County areas, and are familiar with the bankruptcy process in your area. If you live in Eastern Alabama and need some financial relief, then give our Gadsden bankruptcy attorneys a call today for a consultation.